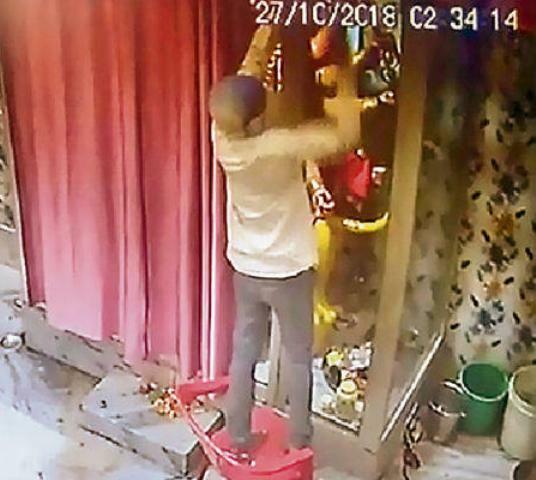 PATNA: God-fearing thieves entered a temple located in Patna, capital of Bihar, and walked away with ornaments worth thousands of rupees offered to the deities. The incident took place at a temple located in Kankarbagh locality of the state capital late on Friday night. The entire incident of theft was recorded in the CCTV camera. In the CCTV footages, the thieves who had covered their faces with scarves, are seen removing their slippers, touching the feet of the deities and then offering prayers before going on robbing the gold and silver jewelries offered to the goddesses. “We have begun investigation and the thieves will be caught very soon,” a local police official Ravi Bhushan said.